Ouya will be holding a three day event showcasing the work of its developers in a parking lot across from the Los Angeles Convention Center. 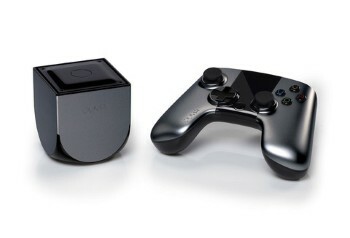 One of the biggest goals Ouya's creators have had for the Android-based console is that it would a platform open to the whims of its users. When its Kickstarter first launched, it was promised the console would be completely hackable. Likewise, every Ouya comes with development tools to give gamers the option to create their own software. Just in the run up to Ouya's release, more than 10,000 developers, both big and small, have taken the company up on offers of free development tools. With E3 on the horizon, Ouya's creators are still dedicated to this mantra of open-ness. In an attempt to circumvent the industry-only nature of E3, Ouya's booth will be located outside of the main show in a parking lot directly across from the Los Angeles Convention Center. In an email sent to the many developers working on games for the console, the company offered any interested parties a chance to join it at its "booth" which will be open to industry professionals and the public alike. "OUYA will be present for all three days of the event, and we'll provide everything you'll need to put on a killer game demo," said Kellee Santiago, Head of Developer Relation's for Ouya. "You'll be able to demo your games to media, E3 attendees and random people on the street who want to see what all the buzz is about. We're going all out to ensure we get the best equipment, and we're also engineering it with the elements of an outside location in mind." Developers interested in showcasing their work at Ouya's public booth are being asked to register before May 28th. We can only imagine the company is hoping not all 10,000 of its developers will attend. While it would be easy to laugh this off as just being the indie-console being all quirky and loveable, Ouya is not the first hardware maker in 2013 to eschew the standard E3 experience for plans of its own. Nintendo this year will be skipping its usual press conference, and will also be giving gamers a similarly public chance to try in-the-works games by releasing playable versions to Best Buys. Meanwhile, while both still have plans for E3 presentations, Sony revealed the PS4 at an event in February while Microsoft is holding a private show tomorrow to showcase the Xbox 360's successor.